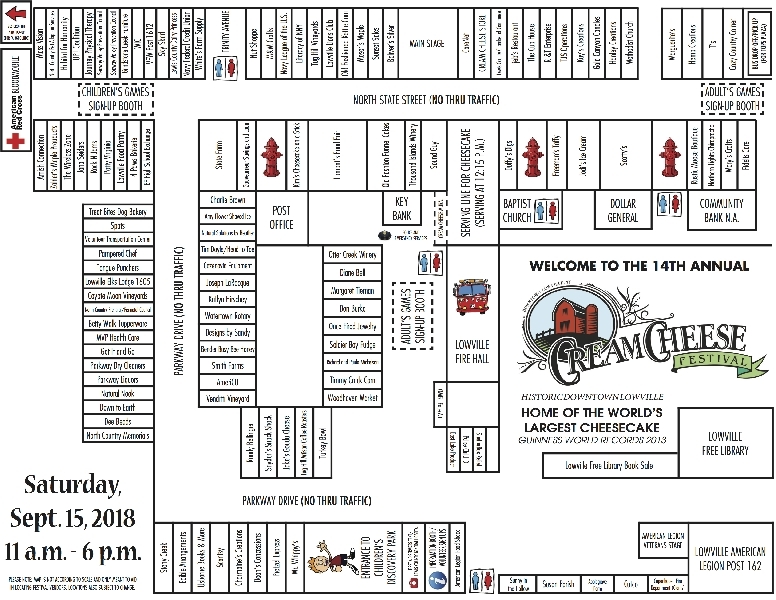 Here's the map to the 2018 Cream Cheese Festival! CLICK ON THE MAP TO ENLARGE AND PRINT! Fill out an application at the link below and email it to us!